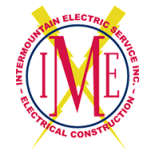 Power Line Maintenance | Intermountain Electric Service Inc.
Power lines are an essential component of any large commercial building or industrial operation. However, they can break down and malfunction when faced with extreme weather or aging over time. Whether you work on the commercial, industrial, or municipal level, you need to make sure your power lines are properly maintained to avoid interruption and frustration — and that’s where we can help. Intermountain Electric is your premier provider of power line maintenance in Wyoming, Colorado, and the surrounding areas. We’ve been helping Americans with their power line needs since 1975. Schedule a free consultation, and call us directly with any questions. With every single power line repair or maintenance project, our power line technicians will thoroughly inspect and test the line for problems, consult with you on the course of action that works best for you, and make necessary repairs in a timely manner so you can avoid interruptions in service. We make sure to keep you in the loop every step of the way so you have peace of mind and avoid headaches for you and those you work with. Intermountain Electric has served Wyoming and Colorado for over 40 years — we can handle the design, construction, and maintenance of overhead and underground power line systems. Call us if you have any questions, and schedule a free consultation today.